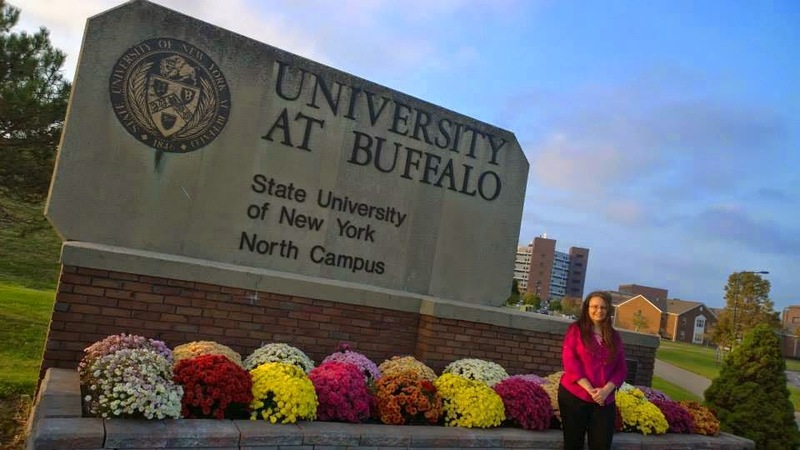 Authentic Journeys was featured in the latest enewsletter of the International Student and Scholar Services at the State University of New York at Buffalo (reprinted with permission). To see the flyer for the event click here, or scan to the end of this post. The International Committee of the UB Women’s Club invites you and your family to their Brunch and Social Hour on Tuesday, April 14. The lunch will be from 11:00-1:00 (or until the food runs out) in Student Union 210. Come enjoy a free meal and meet new friends! Did you know that it takes less than 10 seconds for a recruiter to form a first impression of you? Come to this interactive workshop by UB alumnae and former international student Jennifer Kumar. Learn how to create a memorable first impression and inspire confidence in recruiters and interviewers. Presenter: Jennifer Kumar is the Managing Director of Authentic Journeys in Kochi, India. She facilitates programs for professionals from India working with U.S. counterparts. She consults with local Indian start-ups, national companies in India, and multinationals. Some of her clients are UST Global, EY, Allianz and Microsoft. For more information, visit: www.authenticjourneys.info/. José is a young boy living in a rural part of Martinique in the 1930s. Many of the people around him, including his grandmother, work in the sugar cane fields and are often mistreated by the white boss. José goes to school at the insistence of his grandmother, who doesn't want him to end up working in the fields. He wins a partial scholarship to attend high school in the capital. His grandmother accompanies him there and works as a laundrywoman for the rich white ruling class to pay for costs. José deals with pressures around him, especially from one of his teachers. When he writes an essay on the lives of poor blacks, he is accused of plagiarism. Then, when his grandmother dies, he is launched into a future he cannot control. Prof. Christian Flaugh, Department of Romance Languages and Literatures, UB, will introduce the film and lead a discussion following the screening. In an effort to address issues of intense public concern, the symposium will explore in depth the recent rise of violent extremist groups in Africa. In so doing, it will go beyond sensational media headlines to the historical roots of this phenomenon as it examines groups such as Boko Haram, Seleka, and Al-Shabaab. Taking into consideration cultural values, global interests, socioeconomic conditions, and human rights, the presenters will focus on the complex interplay of religion, politics, modernity, terrorism, and human rights. Join us for a professionally-guided tour and explore Buffalo’s historic Allentown district. Allentown has become one of the city’s main art, cultural and historical districts. It has also been home to a number of famous Buffalonians, including U.S. President Millard Fillmore, Samuel L. Clemens (Mark Twain) and author F. Scott Fitzgerald. Cost: $12 (for tour) (non-refundable) A $4 fee for Metro Rail transportation must be paid at the train station on the day of the event. “A Path Appears” follows Nicholas Kristof, Sheryl WuDunn, actors and advocates to Colombia, Haiti, Kenya and throughout the United States to uncover harsh forms of gender-based oppression and human rights violations, as well as effective solutions being implemented to combat them. Following the screening, the following panelists will discuss the film. Leading for Change: Speaking UP! Practice your conversation skills at the English Language Institute’s Chat Room! Participate in a weekly face-to-face conversation program involving one U.S. undergraduate student paired with two international students. For more information and to sign up, stop by the Chat Room table near Baldy Hall 314 from 2:00-4:00 on Mondays – Fridays and ask to speak with Sarah Spriggs. Practice your pronunciation and listening comprehension on your own with tapes at the English Language Institute’s Open Lab. Free and open to all UB students. Bring your UB Card! Do you enjoy meeting new people, playing games and having tea? If so, please join us for International Tea Time! International Tea Time brings together international and U.S. students for conversation and fun. They meet, play games, talk and get to know each other. For more information contact: elenayak@buffalo.edu. The Center for Excellence in Writing (CEW) offers one-on-one writing consultations to UB students. The consultants discuss essays, reports, application materials, theses, dissertations, etc. They serve as a thoughtful, informed audience for writers across the disciplines and help them make choices about revision. The CEW also offers special programs for graduate students: Dissertation Retreats and Writing Groups. If you are interested, please email writing@buffalo.edu. For more information, please visit http://writing.buffalo.edu. The Center for Excellence in Writing's English Conversation Corner provides an informal, relaxed atmosphere for students who would like to practice their English conversation skills. To learn more about corporate to college seminars and workshops for international students in the U.S., click here.